MultiBrief: How often are opioids for chronic pain truly misused? How often are opioids for chronic pain truly misused? More than 1.5 billion people worldwide suffer from chronic pain, and treating it can be challenging for physicians. Doctors often resort to the use of chronic opioid therapy, which has increased substantially in recent years. To examine just how pervasive this issue is, the American Pain Society and the American Academy of Pain Medicine commissioned a systematic review of the evidence on chronic opioid therapy for chronic noncancer pain and convened a multidisciplinary expert panel to review the evidence and formulate recommendations. Although evidence is limited, the expert panel concluded in 2009 that chronic opioid therapy can be effective for carefully selected and monitored patients with chronic noncancer pain. However, opioids are also associated with potentially serious harms, including opioid-related adverse effects and outcomes related to the abuse potential of opioids. A new study released earlier this month suggests that 20 to 30 percent of opioid analgesic drugs prescribed for chronic pain are misused, while the rate of opioid addiction is approximately 10 percent. 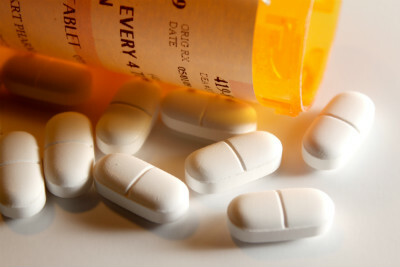 Kevin E. Vowles, Ph.D., of University of New Mexico, Albuquerque, and colleagues reviewed published studies and found that misuse was documented in approximately 1 out of 4 or 5 patients and addiction in approximately 1 out of 10 or 11 patients who were prescribed opioids as part of their treatment for chronic pain. The researchers noted that 35 of the 38 studies reviewed were conducted in the United States, a curious finding that perhaps suggests that this issue is of both high interest and is perhaps a problem that is somehow uniquely relevant to the U.S. Estimates were calculated using data from the 38 studies, with adjustments for study sample size, quality and methods. Three specific types of problem opioid use were recorded: misuse, abuse and addiction. The study found high variability in specific rates of opioid misuse and addiction identified across different studies, ranging from less than 1 percent to more than 80 percent. On adjusted analysis, the average rate of opioid misuse was estimated at 21 to 29 percent. Misuse was defined as using opioids contrary to instructions, regardless of harmful or adverse effects. Adjusted average rates of opioid addiction — defined as continued opioid use with actual or potential harmful effects — ranged from 8 to 12 percent. Reported rates of opioid addiction were lower for studies with a primary focus on this issue. Otherwise, studies with different characteristics yielded comparable rates of problem opioid use. In light of the ongoing opioid epidemic, the new review provides informed estimates of specific types of problem opioid use. The researchers call for further studies, including relevant information on patient and pain-related characteristics and focusing on specific types of problematic opioid use. Such studies are needed to provide accurate data for clinicians and policymakers to make sound decisions. The researchers suggest that if approximately 1 in 4 patients on opioids display patterns of opioid misuse, but not addiction, then perhaps more efficient targeting of treatment resources would be of benefit. For example, low-intensity interventions, such as patient education and monitoring, might be a viable alternative to simply not prescribing the medications for those at risk of misuse. Prescribing these powerful pain-relieving drugs has skyrocketed in the past 15 years. This sharp increase has coincided with an increase in opioid-related problems, such as dependence, withdrawal and overdose. The researchers note extremely wide variation in reported rates of misuse, abuse and addiction and raise questions about the benefits of widespread opioid use for chronic pain, given the harmful consequences.